Spring & Summer..close to the beach & pool! AMAZING LOCATION!! 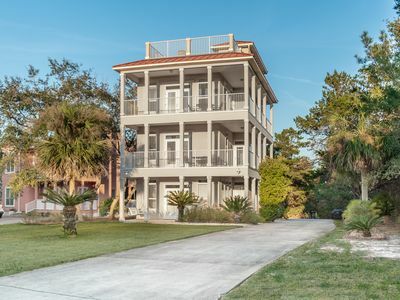 Come & enjoy this charming 4 bedroom, 3.5 bathroom beach home conveniently located in the exclusive and private family friendly community of Seacrest Beach. 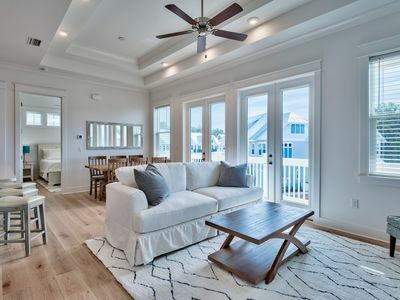 Our home is just steps from the beautiful 12,000 square foot lagoon pool and a short walk or free neighborhood shuttle ride to one of the most incredible beaches of 30A. This spacious house has been newly renovated, professionally decorated & has plenty of room for everyone. It features 5 decks to enjoy, all new gourmet appliances, hardwood floors & tile, all new furniture, new flat screen TVs, new linens & BBQ. 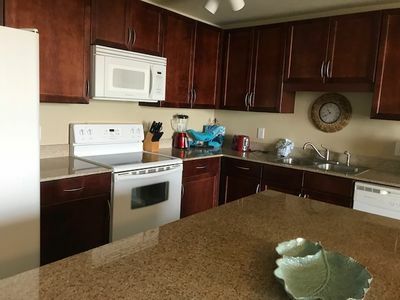 The main floor has a large fully equipped gourmet kitchen with granite counter tops and new stainless steel appliances. The kitchen bar sits 6 while the dining table seats 6-8. 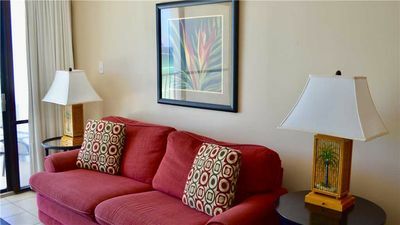 The living room is furnished with plenty of seating, flat screen TV, blue ray player, free Wi-Fi, stereo with Bluetooth, movies library & unlimited long distance calls. 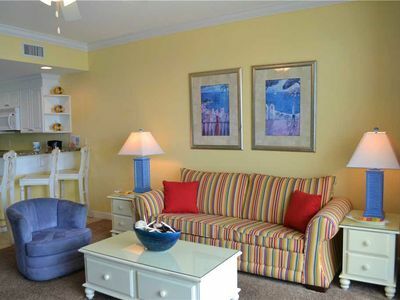 There are 2 bedrooms on the main floor one with a queen bed and the other with a full bed. 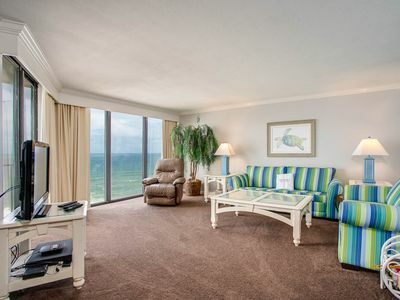 Both rooms have flat screen TVs and double doors leading you out to the back porch. 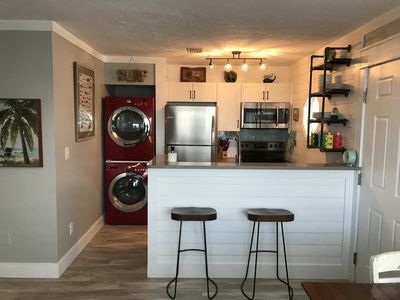 There is a full bath & a brand new full-size washer & dryer on the main floor. Two more additional rooms are located on the second floor. 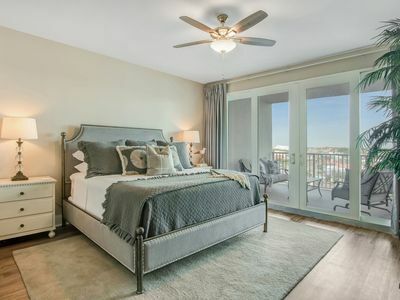 The master suite has a king bed and a comfy chaise for you to relax & read a book or take a quiet nap. The private bath features granite counter tops, dual sinks, jetted tub and water closet. A flat screen TV is discreetly mounted on the wall. There’s also a relaxing private covered porch that’s a perfect place for some quiet time or to enjoy a morning cup of coffee. The spacious 4th bedroom has a full bed and 2 twin beds with a mounted flat screen TV. 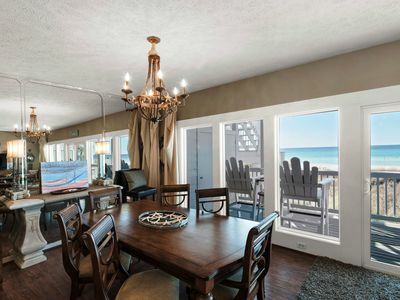 You will also find 2 sets of double doors that lead out to a covered porch. 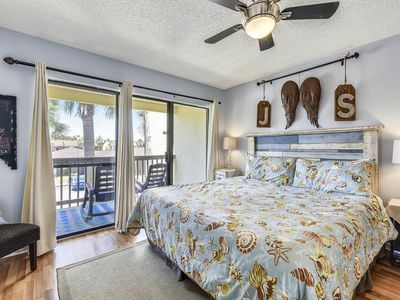 In between the 2 bedrooms there is a relaxing over sized nook. You will find a tucked in set of bunk beds, over sized chair and set of beanbag poufs perfect for kids. Also a mounted TV, DVD player, board games and PS3. Your kids are going to be in heaven! There is also a full bath located on the second floor. 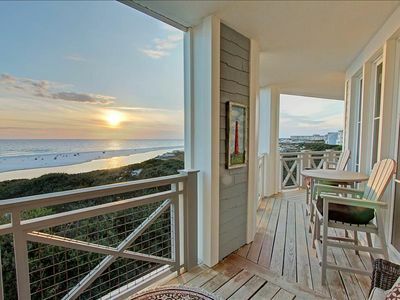 The third floor tower is a perfect place for enjoying the sunrise or sunset. 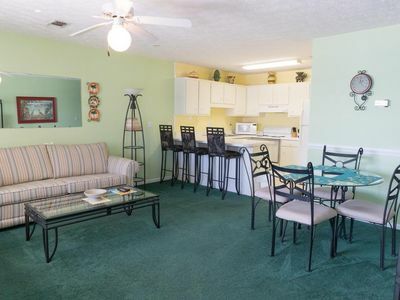 It also has a flat screen TV, DVD player, wet bar, coffee maker, beverage frig and half bath. 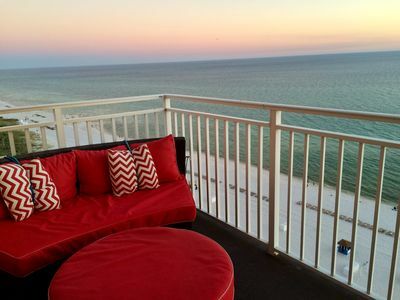 There’s a relaxing sun deck to sunbathe or just enjoy your favorite beverage. Outside we have an outdoor grill, wagon, beach box filled with beach toys, outdoor shower, sand hose,towel hooks, stainless steel cooler. Once you arrive you can put away your car keys. 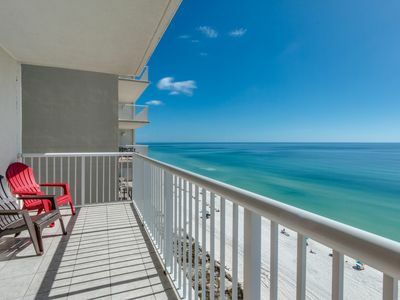 Seacrest Beach is the perfect place for families and people of all ages to enjoy. You are just a short stroll or bike ride to the best dining either casual or gourmet and unique boutique shopping. Enjoy a bike ride down scenic 30-A or free concerts and outdoor movies. You will find great candy, yogurt, ice cream & surf shops right around the corner. *The house offers 5 parking spots! *Perfect layout for multiple families! 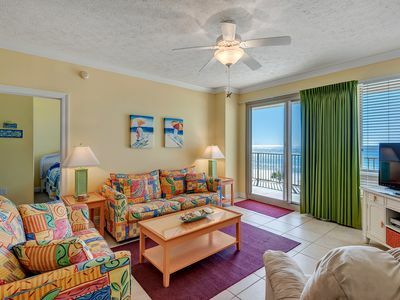 Long Beach Resort 1 BR/1 BA. 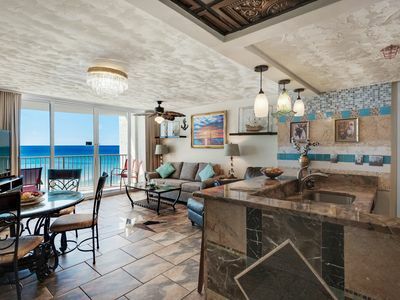 ** Beautiful Remodeled Condo ** Free Beach Chairs! 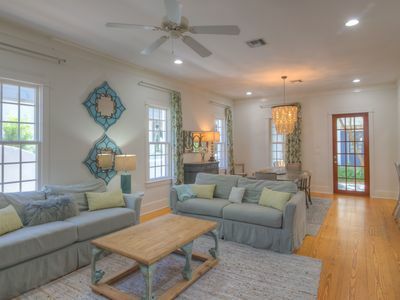 Beautiful open floor plan 1/1 w/Bunk! Enjoy FREE activities with your stay! 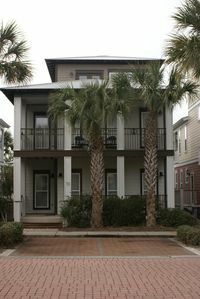 New Home in Prominence in 30-A Santa Rosa/Watersound Beach! 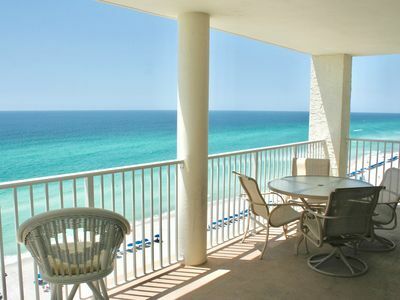 Newly Renovated & PET FRIENDLY condo located on the WEST end of PCB! 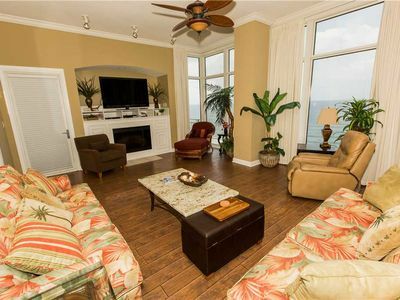 5 Bedroom Home with Gulf Views-3 Min Walk to the Beach! Rooftop Hot Tub! !